The logo from the website for the event on 21 January 2017. We were in Florida this past weekend. My mother-in-law had a special birthday and the whole family gathered to help her celebrate. Family members related stories about grandma and there was lots of laughter all around. For an evening we basked in the sunshine of family and friendship. There were no hardships, no anxieties, and no thoughts about anything except dinner and drink and each other. And then it was over, and the outside world began to creep in. With the inauguration coming in another month, we were dragged back to reality. Here is where the pussyhat project comes in. It’s a way to use yarn and hands and love to keep women . . . and men too warm on a cold January day when hundreds of thousands are expected in Washington to remind us that women matter, that families matter, and that our diverse communities matter. From the website of the pussyhat project. I won’t be at the Women’s March on Washington, but two of our daughters will, as will nieces and nephews, cousins and in-laws, friends and friends of friends. 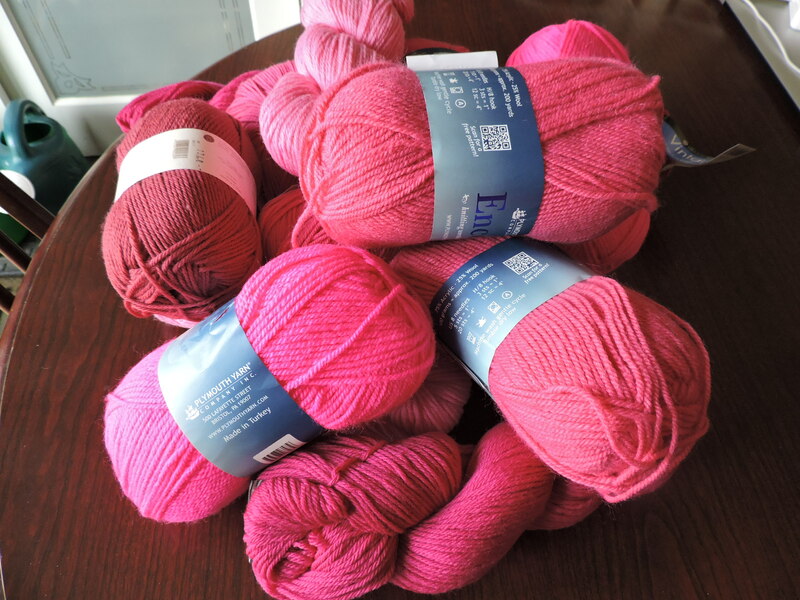 Some of my pink handiwork will be marching too, my knits and purls hugging each head with my warmest wishes for strength and hope and progress. If any of you are knitters or know any knitters, please direct them to the website. 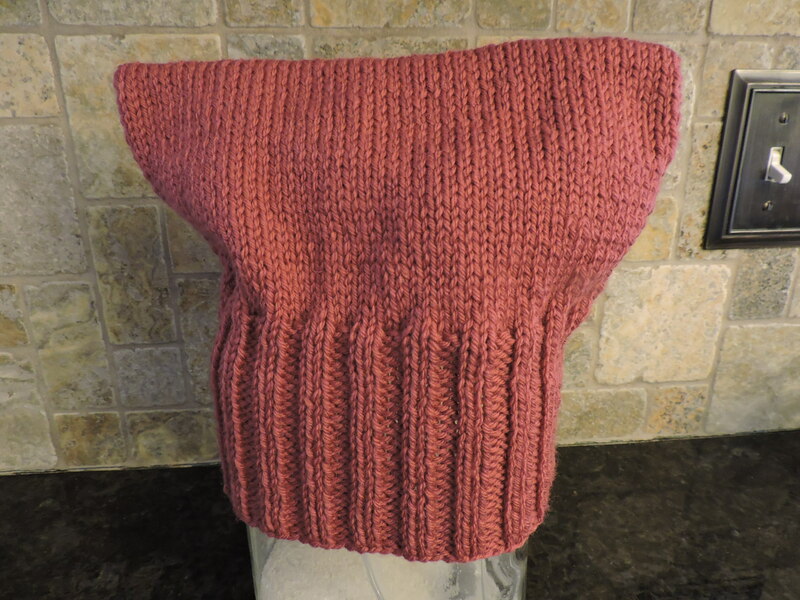 There are knitting instructions and information about where to send the hats. You can also check out the Ravelry group if you’re a member. We stand together in solidarity with our partners and children for the protection of our rights, our safety, our health, and our families — recognizing that our vibrant and diverse communities are the strength of our country. Hat #1 modeled by my flour canister. Thanks Lynn. I am starting my fifth hat now and am trying to knit faster. You know how cold it always is on Inauguration Day! I’m impressed with your knitting output under deadline! I guess if it’s a good cause, incentive runs high! Hi Laura! I’m not usually a good deadline knitter, but I’m under the gun now! I have orders from various family and friends. Also, my husband keeps telling me to keep knitting. Sounds like hubby is an enabler in the best sense of the word…go for it!